Tickets may be purchased for individual classes or for the six class Spring Season. What: The three seasonal series (six classes each) are designed for everyone from total beginners to experienced amateur observers. Whether you want to learn the constellations or have a telescope and want to expand your knowledge of viewing objects, these classes have something for you. The focus is on learning the night sky in a “geographic” sense…locating yourself in our solar system, our Milky Way and our local galaxy cluster neighborhoods! 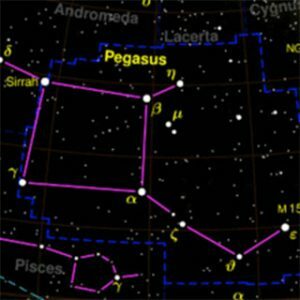 A few constellations are introduced in each class—their myths, history and interesting stars. We also cover deep sky objects such as the beautiful nebulae and clusters that never cease to awe and amaze. After each class (sky conditions permitting), we go outside to locate the constellations just presented. We then move to the Observatory’s telescopes to view objects within the featured constellations, until or beyond 10:30 PM (11:30 PM daylight time). Spring Season Passes for all six classes are $75. Individual Classes are $23 each. Visit website below for more.